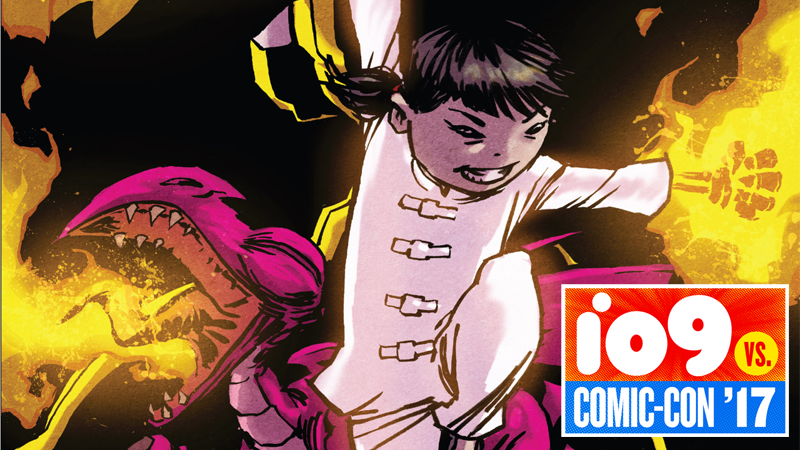 When Marvel started teasing its Marvel Now line-up last year, one of the most intriguing titles was Kaare Andrews and Afu Chan’s Iron Fists, a series about Danny Rand training the youngest bearer of the Iron Fist, a little girl named Pei. Unfortunately the series vanished off the face of the earth—but it’s back, and heading straight to Comixology. Now named as Immortal Iron Fists, Andrews and Chan’s six-part series will be available exclusively through Comixology and Kindle, expanding the comics platform’s stable of exclusive digital comics and kicking off a series of digital-first collaborations between Marvel and Comixology. That’s cool but it’s also nice to see that the series didn’t just vanish into the ether. The bi-weekly series sees Pei—who was first introduced in Andrews’ 2014 series Iron Fist: The Living Weapon—dealing with high school while also training in the martial arts with her spiritual predecessor, Danny... oh, and teaming up to save the day through the power of punching things incredibly hard. You know, the usual. The first issue of Immortal Iron Fists is available today, either for purchase or for free as part of Comixology’s subscription service.